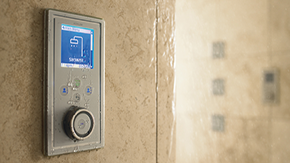 Digital Shower Systems, South Shore chooses MPD Plumbing & Heating: Scituate, Marshfield, Cohasset, Weymouth, Hingham, Norwell. 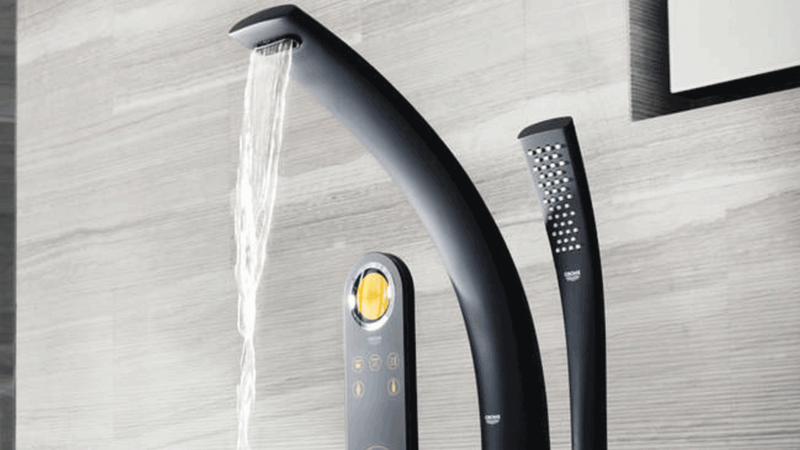 Take your shower from ordinary to extraordinary. 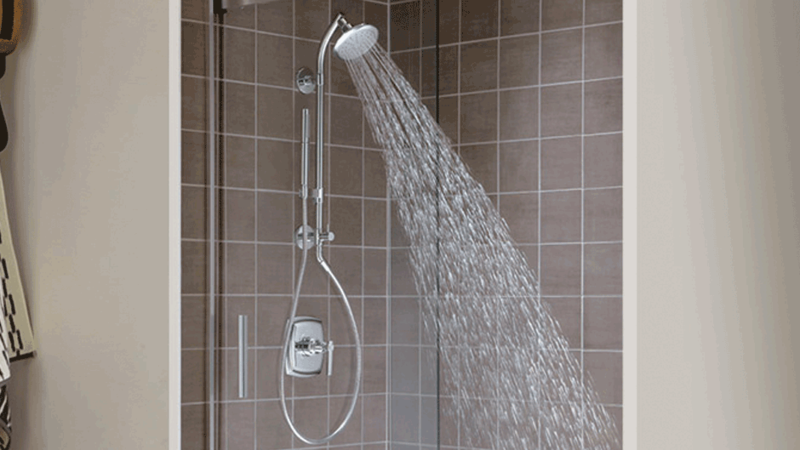 HydroRail shower columns allow you to transform a standard, single-outlet shower into an unforgettable showering experience. 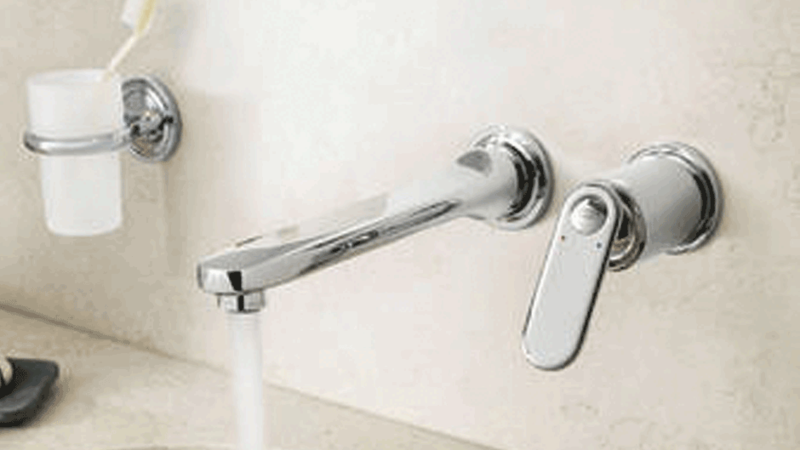 Grohe Digital & Electronic Faucets. 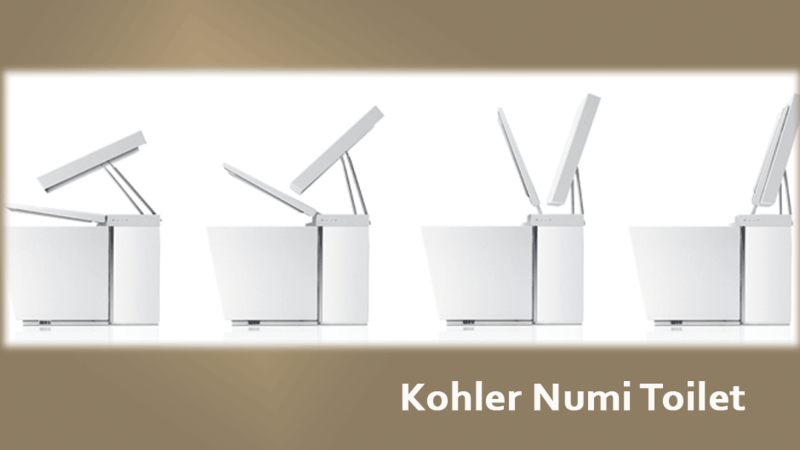 Digital Faucets, By replacing mechanical operation with a touch-sensitive digital interface has revolutionized the way in which consumers interact with their faucets and showers. Create a spa-like enviroment in your home with DTV - an advanced digital platform that wraps water, sound, light and steam together in a seamless and totally customizable system. 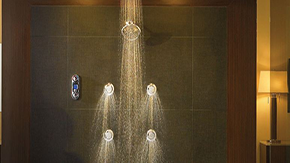 One simple electronic control - for one incredible shower.